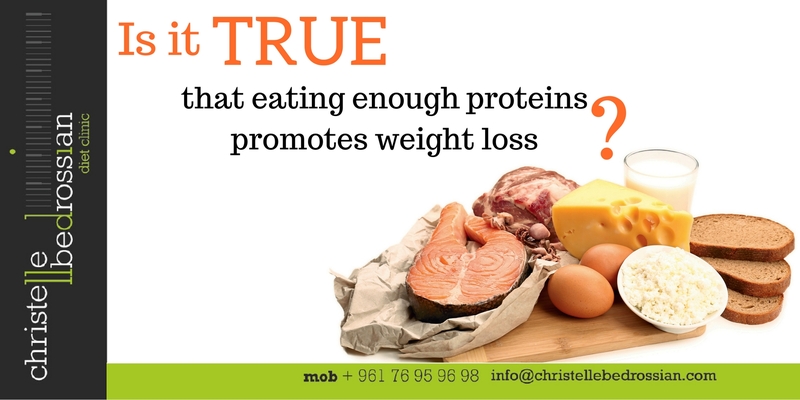 Is it true that eating enough proteins promotes weight loss? True. A high protein intake can boost metabolism significantly, while making you feel so full that you automatically eat fewer calories. It can also cut cravings and reduce the desire for late-night snacking. (Next Entry) Is it true that tracking your food intake leads to weight loss?